On the beach in Machir Bay on the west coast of Islay on a sunny November morning. Some spray had settled on the lens, in a way I think it adds to the mood. 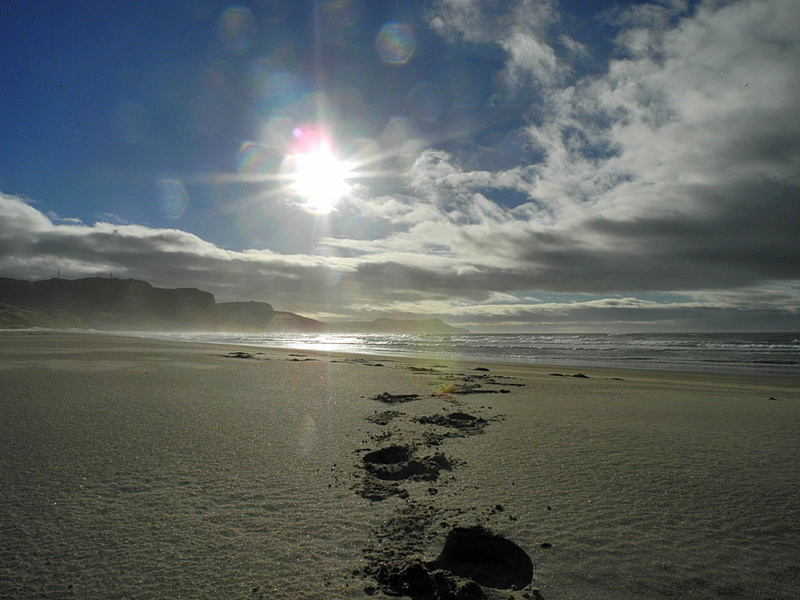 This entry was posted in Beaches, Cloudy Weather, New Post, Sunny Weather and tagged Islay, Kilchoman, Machir Bay by Armin Grewe. Bookmark the permalink.